Now, I'm happy to say, 3D printers might just end up being your new best friend in an unexpected place—the kitchen. 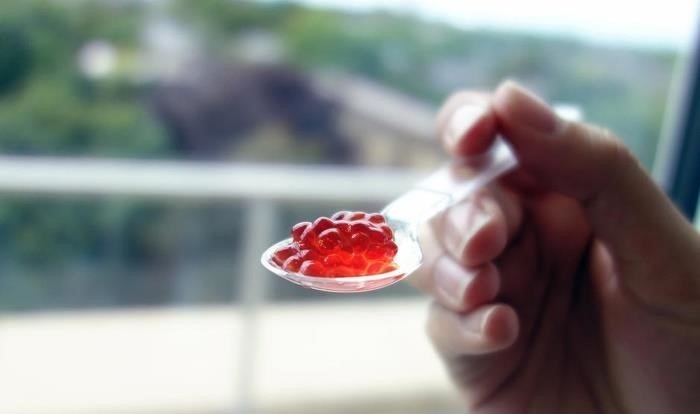 Dovetailed, a Cambridge-based firm, recently debuted a printer at Tech Food Hack that can create edible fruit with bespoke (custom-made) flavors. 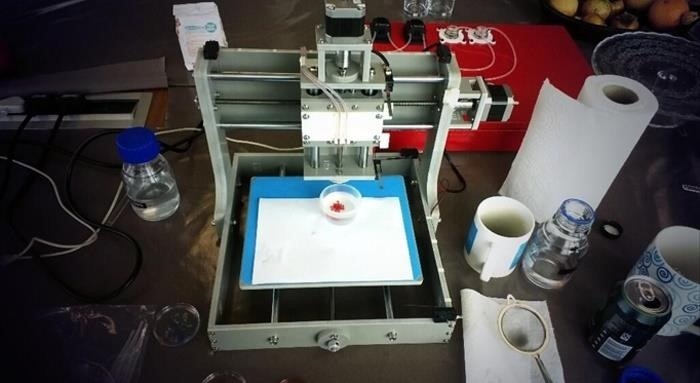 The printer uses the molecular gastronomy technique of spherification (combining a liquid with sodium alginate and dropping it into a calcium chloride bath to produce liquid encapsulated in edible blobs). In this case, they used fruit juice to make a fruit that looked like a raspberry, but tasted like a strawberry. Is this the next great revolution in food? Dovetailed hopes so. They think their printer will be useful to chefs and home cooks alike and allow for combining all kinds of shapes, flavors, and textures. What implications does 3D printing have for the average consumer? Some think it might lead to the "Napsterfication" of physical objects, where people will no longer be limited to buying goods through the usual chain of command. Inventor/engineer Grace Choi is working on a 3D printer that custom-designs foundation and other make-up. Personally, if an affordable 3D printer in the kitchen means no longer having to run to the store when I'm out of something or trying to find a substitution, I'm all for it. Though, I can easily see myself running out of ingredients to 3D print my ingredients. Alas, there's no answer for that one. What do you think about 3D printers creating food? I appreciate you sharing your thoughts on this topic. I'm all for it, if it produce the same nutrients as real food and is cost efficient. In a broader spectrum it can't be worse than the food we consume already. That is a good question--once the technology evolves, perhaps we'll see what the nutritional value of 3D printed food can be. I just hope GMOs don't come into play.